Shivin Narang, who has become quite popular with his character, Ranveer as the dutiful brother of Veera, will soon don a rockstar’s avatar in the show. It would be a complete transition for the character who has till now been seen as a boy from rural Punjab. “The track will change as Ranveer realises that he is inclined towards singing and sets out on a new journey. He comes to Mumbai to participate in a singing reality show,” informs Narang, who is upbeat about the new track as it will give him an opportunity to explore new arena in acting. 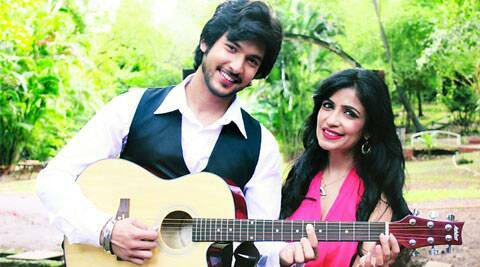 Interestingly, singers Shibani Kashyap and Rohit Bakshi have been roped in for a few episodes of this particular track. “While they will help in grooming my character in the show, music composers Sharib- Toshi Sabri will play the judges of the talent-hunt show in which Ranveer participates,” informs the actor. The track will be shot at several outdoor locations in Mumbai. The Veera team has also utilised the sets of India’s Raw Star at Film City in Goregaon, Mumbai. Narang informs that the sequences involving the reality show on Veera are being shot on the sets of India’s Raw Star.